ITDH – Introduction To Defensive Handgun is a proven course for anyone wanting to learn the core concepts of Defensive Shooting and raise their level of skill in using a Handgun for Self Defense. This is the ultimate Conceal Carry Weapon course for the NV, UT, FL & AZ permits. 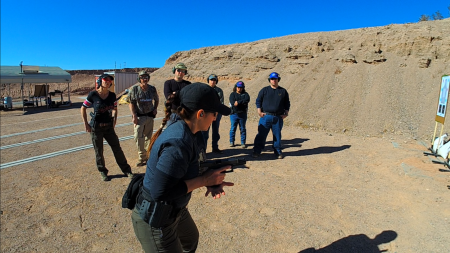 This course exceeds the minimum standards for the permit application process and includes Defensive Shooting Concepts and Counter Ambush concepts in addition to the State mandated requirements. IMPORTANT NOTE: THESE PACKAGES ARE FOR GROUP TRAINING COURSES AND DO NOT APPLY TO PRIVATE TRAINING SESSIONS. THE DATES OF THESE TRAININGS ARE TO BE COORDINATED WITH HPP TRAINING AND MANUALLY ADDED TO COURSE ROSTERS UPON ARRANGEMENT OF MUTUAL SCHEDULE AND AVAILABILITY.